Father Timothy Radcliffe, O.P., former master general of the Dominican order and Grand Chancellor of the Pontifical University of St. Thomas Aquinas in Rome, will give a lecture on “The Christian Imagination and the Contemporary Search for Wisdom” at 7:30 p.m. Wednesday, March 28 at Emory University’s Glenn Memorial Auditorium,1660 N. Decatur Rd. Admission is free, but tickets are required. Reserve tickets online. Radcliffe’s appearance is part of the Major Catholic Speaker Series of the Aquinas Center of Theology and co-sponsored by the center and Emory’s Candler School of Theology. The lecture also will celebrate the Aquinas Center’s Dominican heritage. Since its founding, the Dominicans have been known for their preaching, scholarship, and devotion to social justice. 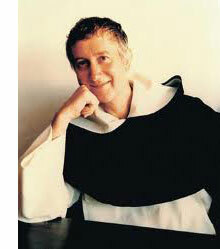 The Dominican order is a global institution with over 6,000 priests, brothers and sisters around the world.